The power plant will probably be in the Nellore district of Andhra Pradesh. 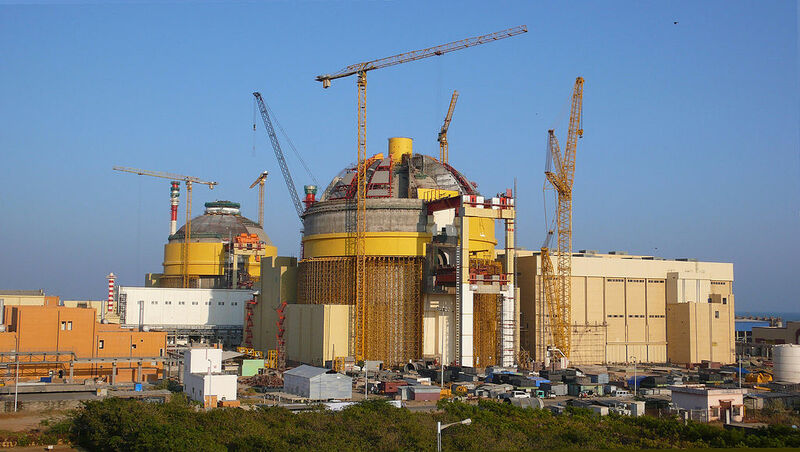 The Indian state of Andhra Pradesh is well on its way to becoming a nuclear-powered state, as both Japanese-American and Russian nuclear power projects are slated to be built there. The Indian state of Andhra Pradesh will soon be home to the world's largest nuclear power units. All the credit goes to the state's Chief Minister Chandrababu Naidu, who is striving to make it the country's nuclear energy hub. Before Prime Minister Narendra Modi embarked on a visit to the US last month, Toshiba Corp's Westinghouse Electric announced that it will be relocating a proposed project to build six nuclear reactors from Mithi Vardi in Gujarat to Andhra Pradesh. Apart from the Japanese-owned US company, Russia's state nuclear power company Rosatom will also build its next nuclear power plant in Andhra Pradesh after completing the Kudankulam plant in Tamil Nadu. Andhra Pradesh government sources told Sputnik that Rosatom is likely to build six power plants in the state. The power plant will probably be in the Nellore district of Andhra Pradesh, sources told Sputnik. During his recent visit to Russia, Naidu pitched that he will provide all the necessary infrastructure for the establishment of nuclear power plants in his state. The delegation to Russia was led by Indian Commerce Minister Nirmala Sitharaman. Chandrababu Naidu also met with Russian Prime Minister Dmitry Medvedev. Another Russian nuclear power project to build six VVER reactors in Haripur, West Bengal is likely to be moved to Andhra Pradesh due to protests by local residents. "1,200 MW VVER Nuclear Reactors will be constructed there (Andhra Pradesh) with the safest, most up-to-date technology. Currently the location of one more site for the construction of six new Russian-designed nuclear reactors is being considered by India. We hope to get more information about the new site soon," sources in Rosatom told Sputnik. Apart from Westinghouse, another US-Japanese company, GE-Hitachi, was aslo allocated a site in Andhra Pradesh to build six Economic Simplified Boiling Water Reactors. However, the project has been put on hold as India is wary of GE- Hitachi nuclear reactors as they have not been tested before. Therefore, if everything goes according to plan, Andhra Pradesh will be home to more than a dozen nuclear reactors.